Description: This is a comic book magazine from September 1978. It was printed by Falls Publishing Company in Menomonee Falls, Wisconsin. Dr. Strange appears on the cover by Kerry Gammill who has worked for both DC and Marvel. 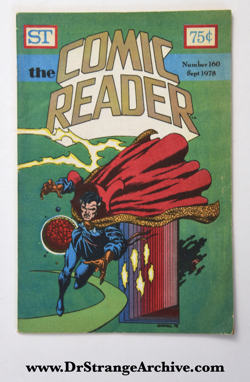 This item was purchased from the collection of Alan Kupperberg who was a comic book artist for several companies.